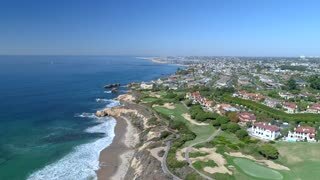 Search Results for "golf course aerial"
Aerial view of a coastal golf course fairways with luxury homes. 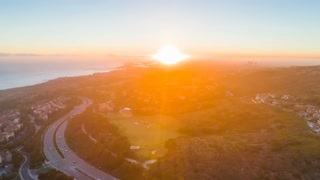 4K Aerial golf course scenes in SoCal. Aerial panning, scenic golf course in Southern California. Shot with GOPRO HERO BLACK in 4K UHD. Los Angeles Aerial Century City v64 Low flying aerial backwards over golf course with Westwood city view during sunset. Arial Zoom In On Tee Box. Aerial shot of a drone coming closer to a tee box with golf players. There are several trees close to the tee box. Arial Circle Tee Box. Aerial circling video shot using a drone that that shows a tee box with several golf players in the golf course. The tee box is surrounded by a lot of trees. 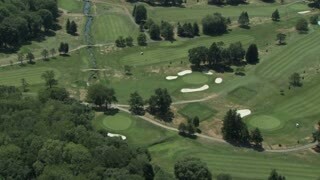 Aerial view of the countryside and a golf course. Drone view flying forward over greens, sand traps and tee boxes. Car driving on a narrow road near a country club. Aerial view of a golf course in dry conditions with withered grass. Greens and tee boxes in need of care and maintenance. 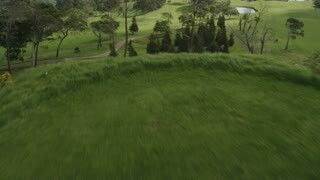 Drone backing over landscape of a public golf course in South Africa. 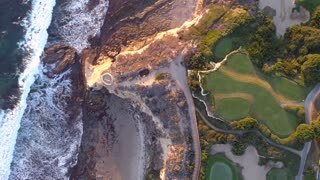 Wide aerial view of a stunning golf course with a pan up reveal of a seascape. AERIAL: wrapping around a few golfers on a golf course that's been surrounded by the suburbs of Chicago. AERIAL: passing through two palm tree towards a golf course that's a part of the resort in Colombia. AERIAL: lifting and twisting over the golf course near the resort in Colombia. AERIAL: still angled shot looking over a golf course and busy pool in the resort in Colombia. AERIAL: twisting around some palm trees to see more of golf course attached to the resort in Colombia.